That Maisons-Laffitte has become a prestigious horse town is intrinsically linked with its Chateau. In fact, the existence of the racecourse and the training center is anchored in the history of the Chateau, whose myriad of owners have shared a passion for horseracing. . This marked a period of construction at Maisons sur Seine, as it was known then, at the Chateau and at the stables. 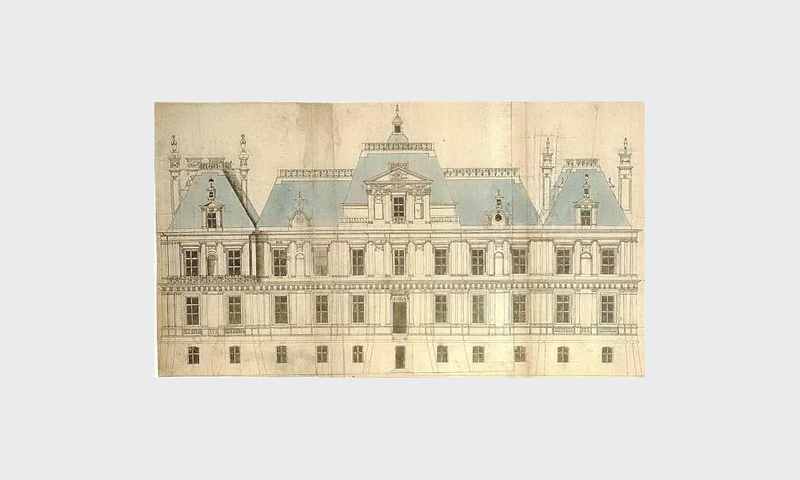 The Chateau was built under Louis XIII, on the initiative of René de Longueil, a high-ranking magistrate, the King’s counsel, governor of the Chateaux, parks and forests of Saint Germain and of Versailles. The King had lodging rights at Maisons and thus needed to be accommodated accordingly. 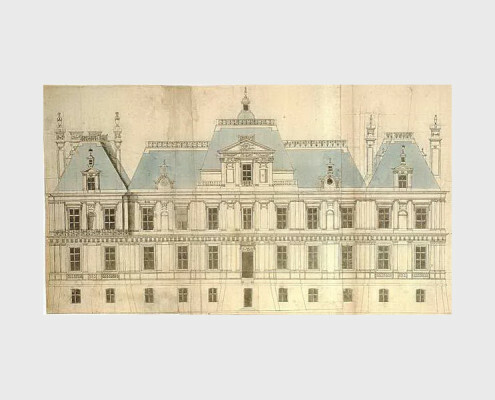 He called on the prestigious architect François Mansart, whose nephew, Jules Hardouin-Mansart, would work on the Chateau de Versailles some ten years later. 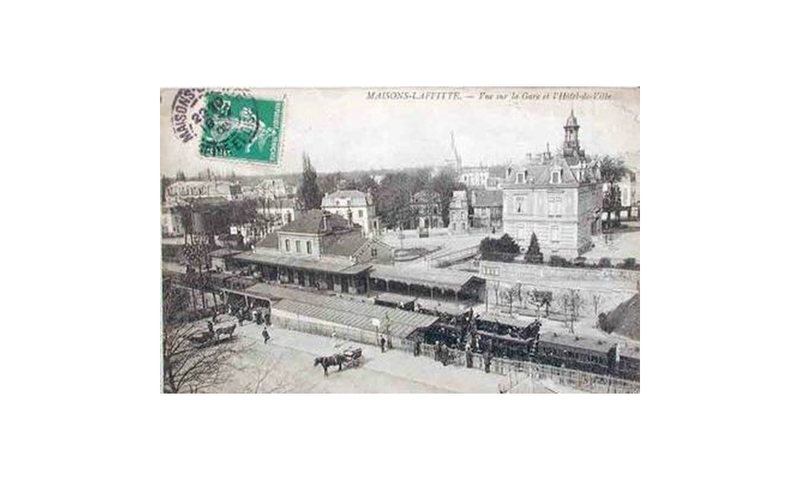 René de Longueil received the King’s authorisation to build a wall around the park (a wall that still stands today in the heart of the training center). 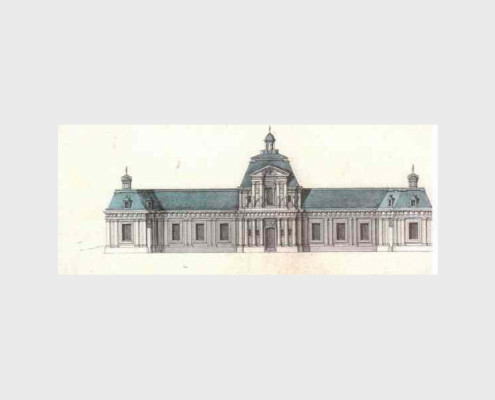 The stables were also built by François Mansart and could house up to 56 horses. They embraced an open gallery and a covered riding arena. The King and his entourage would arrive on horseback through the forest from Saint Germain. They would get there via a hollowed avenue known today as the Avenue Albine. Henceforth, the King was received in the manner to which he was accustomed. 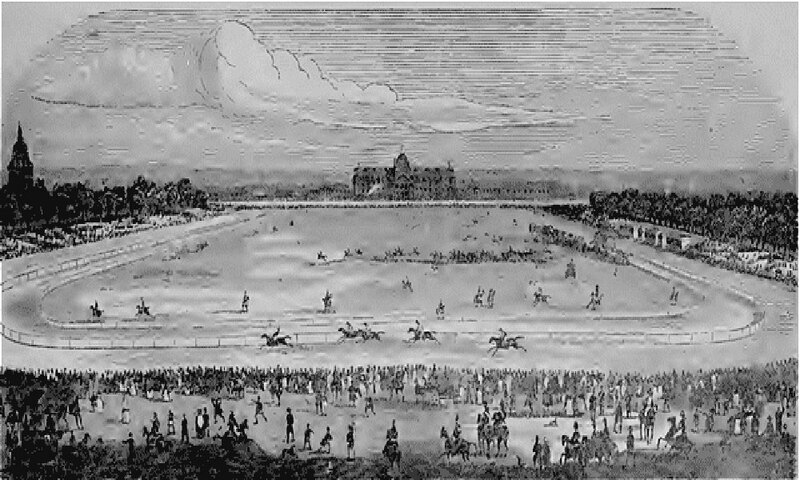 The first official races in France took place on the Achères plain, close to the Chateau. Seven English horses lined up at the start. To commemorate the occasion, an amphitheatre was built to host the King’s court. At that time (1740), maps define the Chateau’s estate exactly as it is today. 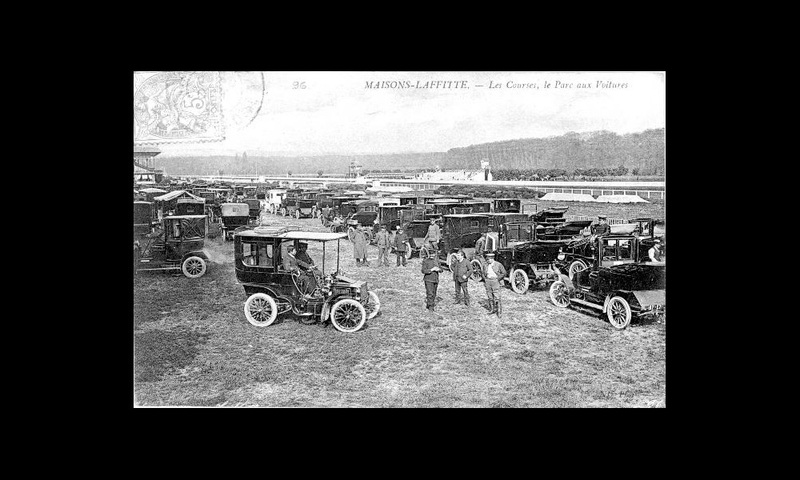 Nearly a century after those first races at Achères, and to mark the inauguration of the Champ de Mars, new races were organised in Paris by the Count of Artois, brother of Louis XVI who would later become Charles X, and who was passionate about racing. 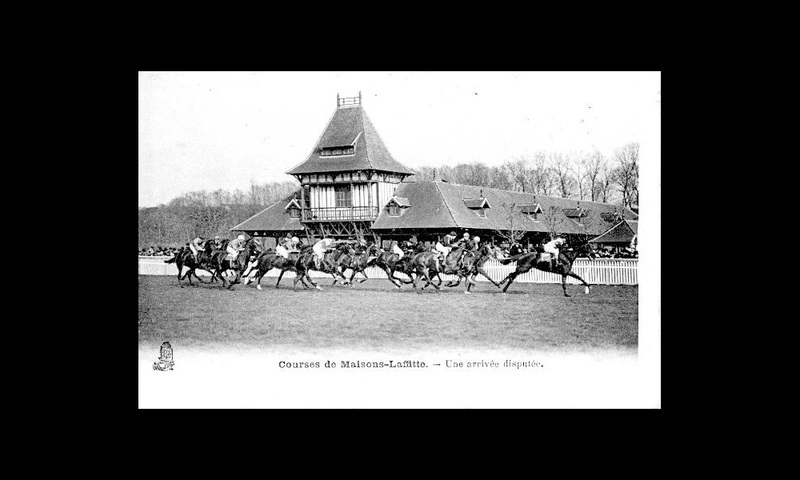 Thanks to him, a racecourse that would be used on a regular basis for many years was built on the Sablons plain at Neuilly. The Château is bought by the Count d’Artois, who uses the stables to house some 20 of his English horses. He built training tracks on the riverside meadows of the Seine. These, as well as the stables, are in full use until his departure in 1784. After the revolution, the Château is put into receivership ahead of its nationalisation. 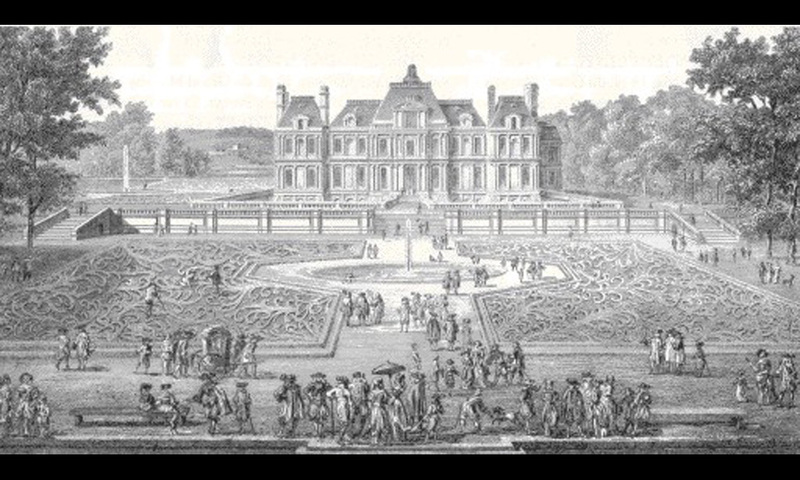 Lanchère, who is only interested in the stables as he was selling and hiring out horses to armies, buys the Château. These were horses he himself has bought locally in often-questionable transactions. 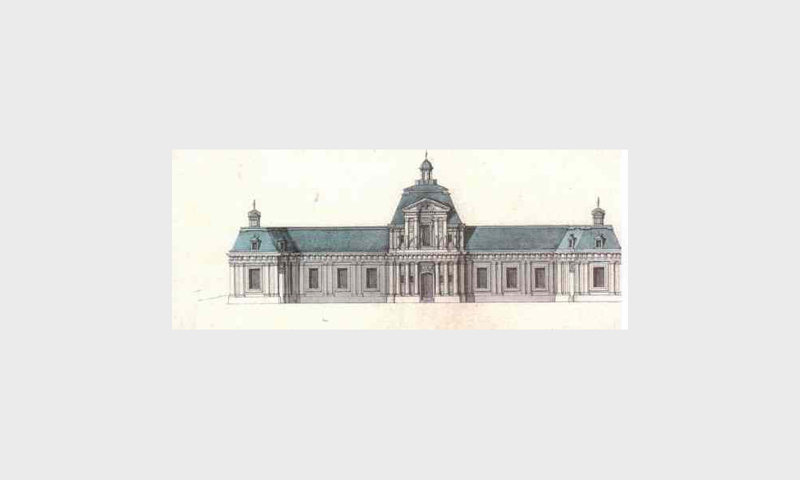 Marshal Lannes buys the Château and fills the stables with 14 horses and 6 mares. Marshal Lannes is killed in the battle of Essling. His widow, the Duchess of Montebello, retainds the Château for another nine years before selling it. 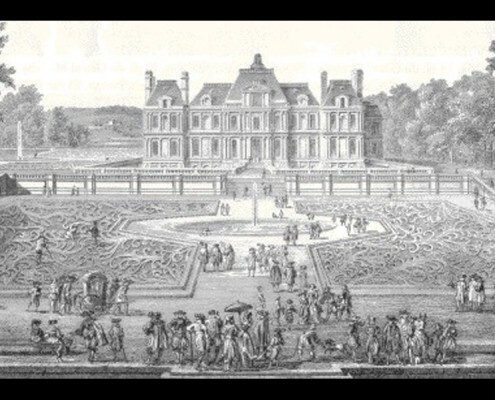 Jacques Laffitte, a banker, buys the Château. His son-in-law Prince de la Moskova, as well as Charles Laffitte’s nephew, are passionate about horseracing. They own racehorses and are founding members of the Société d’Encouragement, and of the Jockey Club. 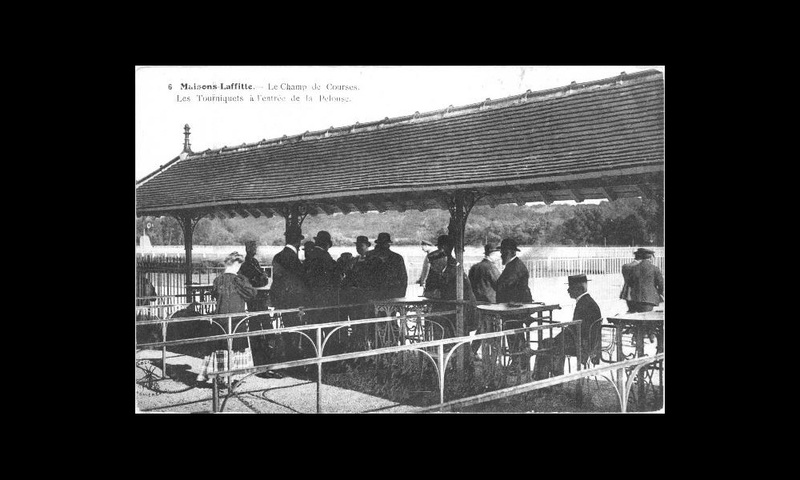 Jacques Laffitte organises the first race meeting on the riverside meadows of the Seine on 20 July. Following political turmoil, Jacques Laffitte is left nearly ruined and decides to divide the estate of Maisons-sur-Seine in preparation for a lucrative real-estate development. 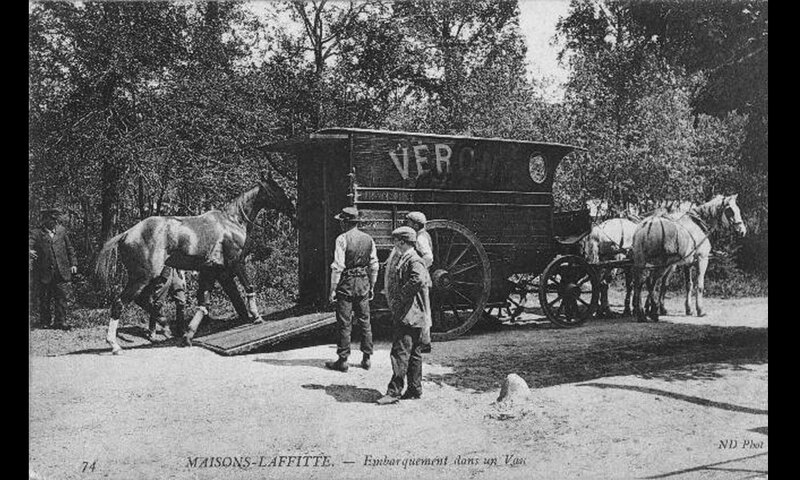 Jacques Laffitte tears down the stables and some of the buildings in order to re-use the materials for the housing development in the park. The tenancy is taken over by the Société Anonyme of the racecourses. 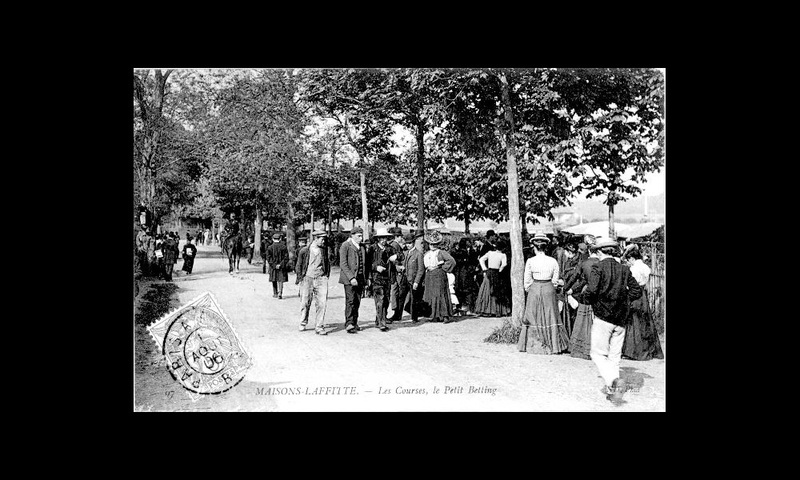 Jacques Laffitte organises two new race meetings in order to attract visitors to the plots he has put up for sale in the park. At that time, an article appears in the racing calendar where he outlines his plans to build a racecourse at Maisons sur Seine. 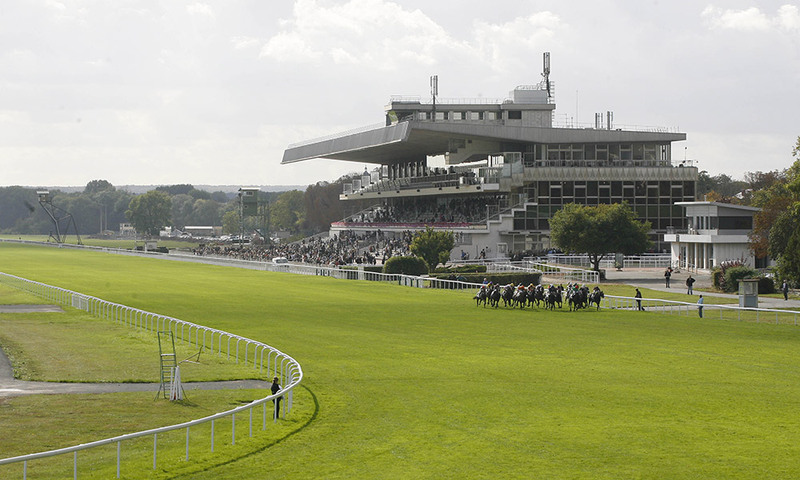 The Société d’Encouragement refuses his proposal to transfer races from the Champ de Mars to Maisons sur Seine. Requirements specification for the plots in the park is submitted to the notary. Today, anyone who buys property in the park continues to be presented with a copy of those requirements specification. The requirements specification aims at imposing certain design principles regarding construction in this “town in the countryside”. 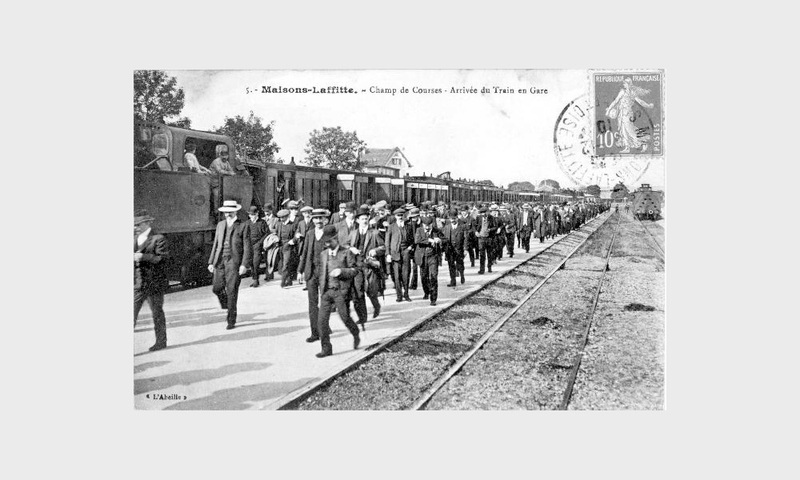 On 3 May, the train arrives at Maisons-Laffitte station and not at “Maisons sur Seine”, as was the intention. 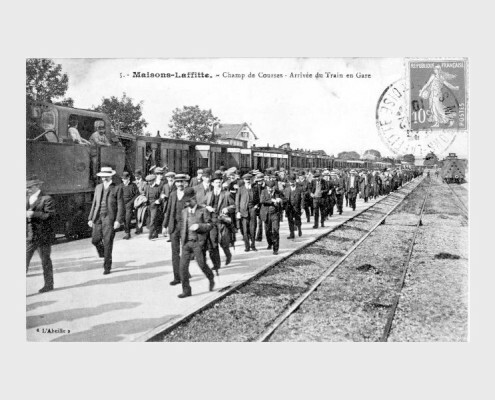 Charles Laffitte was one of two proponents of the Paris-Rouen line. 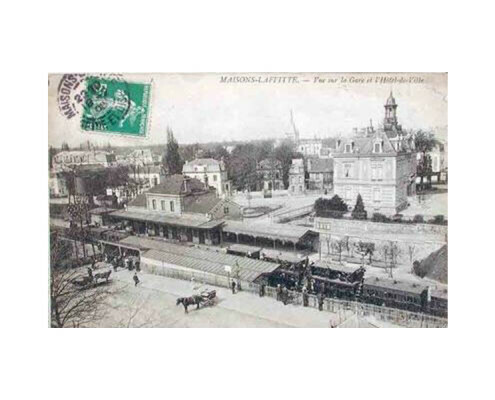 Jacques Laffitte dies and the farm, as well as the riverside meadows along the Seine, are sold to Pierre Paul Manceau. 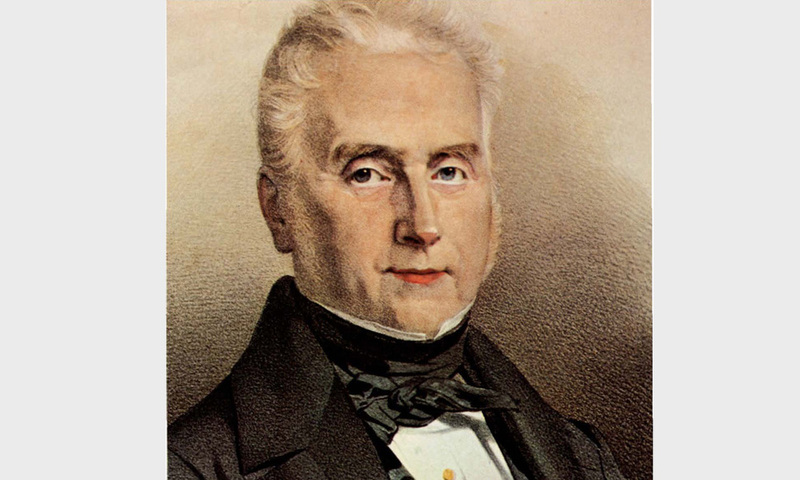 Upon his death in 1877, his son and his daughter sell everything to the Allaire and Levêque company. On 11 April, this company gives Joseph Oller, the creator of horseracing betting, the right to organise horseracing on the riverside meadows for the next 12 years and with the right to terminate this agreement each year. 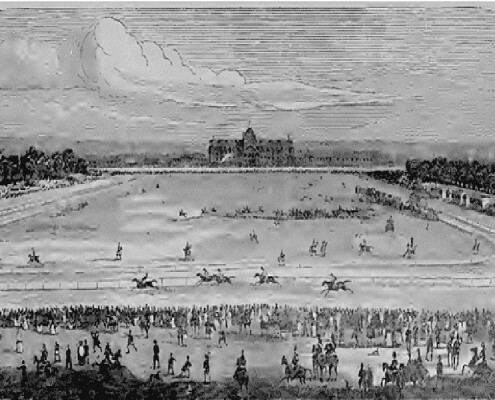 After building stands and tracks, on the 6 June Joseph Oller inaugurates the racecourse, thus completing the 1834 project of Jacques Laffitte. 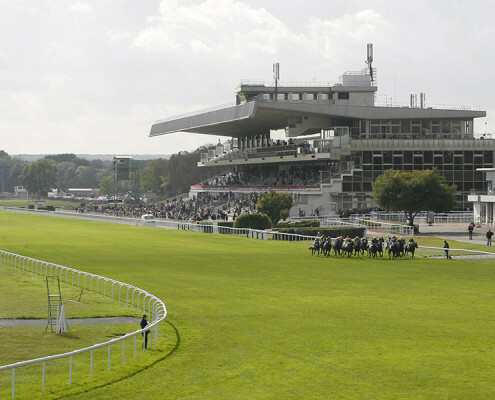 Maisons-Laffitte thus gets a big racecourse with permanent stands and a weighing room. 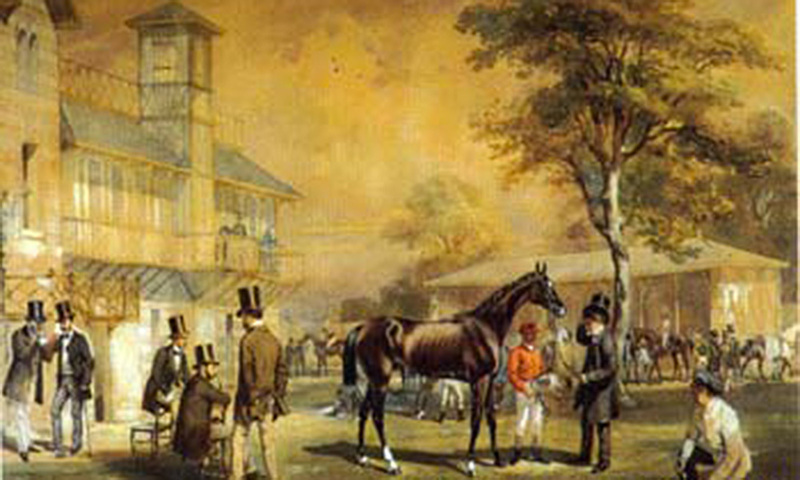 The architecture of these stands still mirror the first generation of racecourses: simple stands, topped by a large canopy and supported by cast-iron columns. Regular race meetings attract more and more trainers who would like to train on the premises. 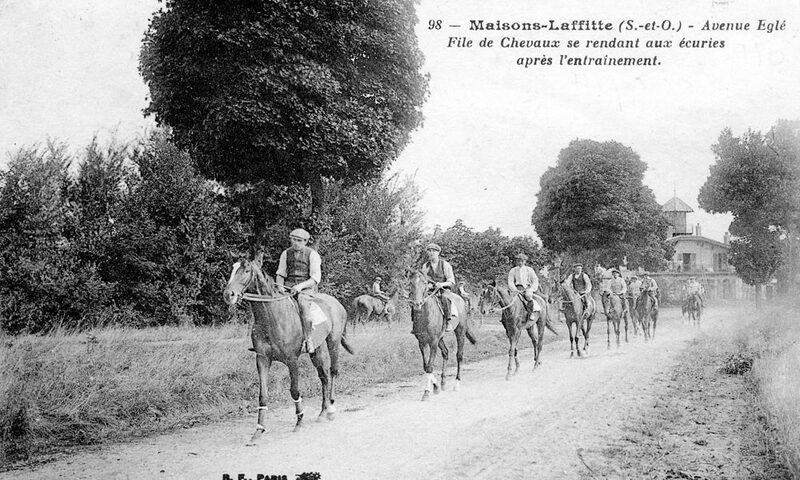 The 1 800-metre Jacques Laffitte avenue that runs along the perimeter wall of the Château’s old park becomes the first training track. Today, that same track remains the backbone of the training center. 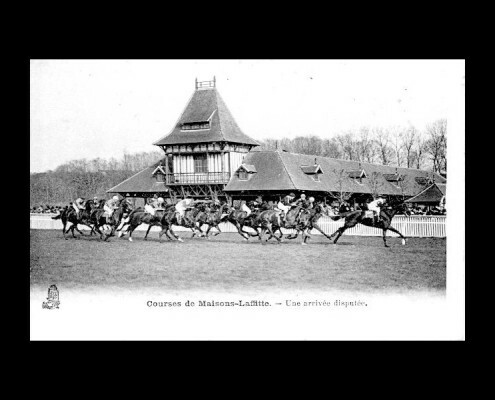 Following the cancellation of the sale of the farm and the riverside meadows to the Allaire and Lévêque company, on 11 December Joseph Oller is forced to organise his last race. Over four years, he has organised 76 meetings. Flat racing resumes on the racecourse. 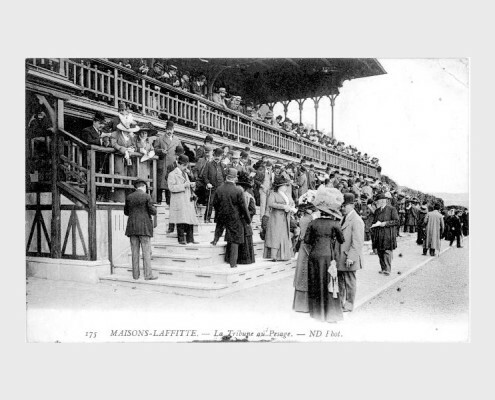 The Société Anonyme of racecourses is placed in liquidation and the Société Sportive d’Encouragement takes over management of the racecourse. 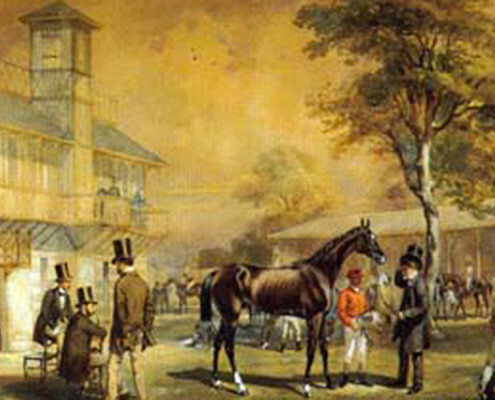 The Société d’Encouragement become the owner of the racecourse. Construction of a rail spur and a railway station close to the racecourse, which today is the Sévigné roundabout and the parking area for horseboxes. It is inaugurated on 16 March and is only dismantled in 1942 by the Germans. 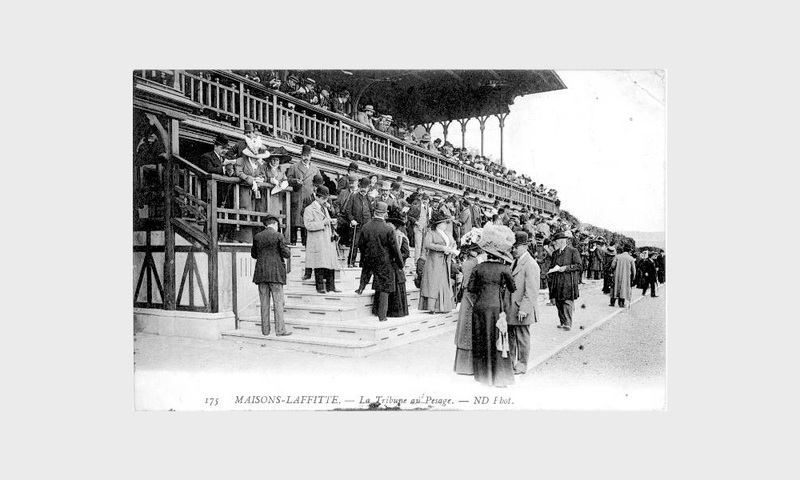 1898 which saw the creation of the training centre upon the signature of tolerance leases between the park association and twelve trainers so that the so-called round sand tracks, as well as the straight (the Jacques Laffitte track), could in future be used for training racehorses. These leases were quickly transformed into individual agreements and into a convention to regulate the circulation of horses within the park. The parent company buys several areas within the park to the border of the Mesnil Le Roi, where it wants to build more stables. 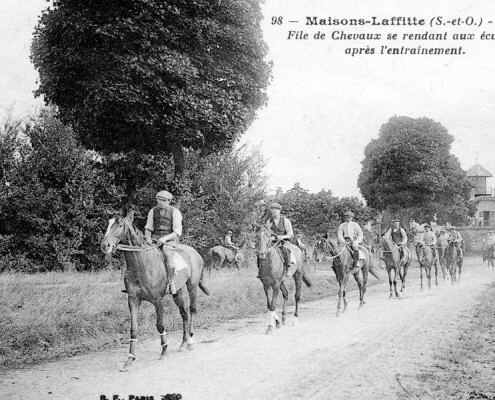 Horses are trained on forest tracks of that era: La Muette and Chaillou, as well as on the Achère grass track. During the year, the company continues to grow and builds new installations for jump horses (Rond Adam, Rond de l’Epine) and for flat horses (Rond Poniatowski, Rond Boileau). The war puts a stop to horseracing in the provinces. The training center is expanded for the last time with the creation of the training tracks Lamballe and Penthièvre. Driven by Marcel Boussac, construction starts on the current installations, which at the time were the most modern stands in Europe, rivalling those at Newmarket. The architect’s cabinet of Leriches, Milanovitch and Lizero build a stand with a standing area for 3 500 spectators and an area that can seat 2 500 spectators. The building also features 6 salons, a panoramic restaurant and three halls of 3 450 square metres in size. 2 500 horses are trained by 85 trainers. Vitiges, trained in Maisons-Laffitte, wins the Prix Robert Papin and the Prix Morny. 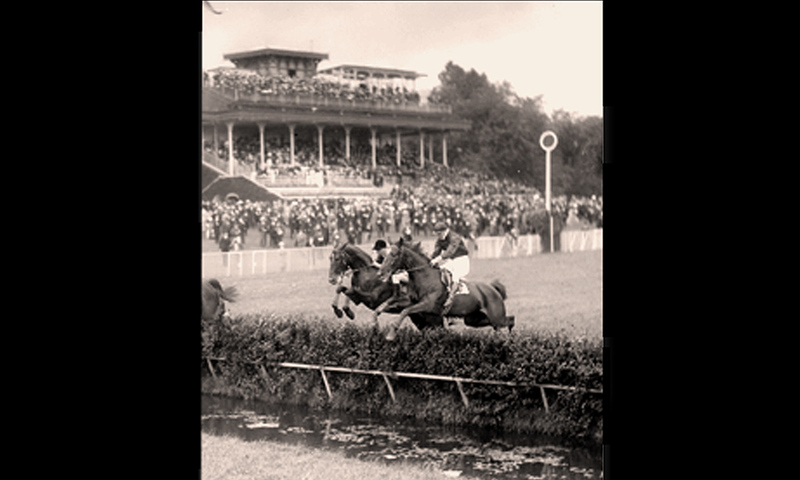 That same year, Theia wins the Grand Criterium des Pouliches. The Société Sportive d’Encouragement takes over the site and leases it to ASP (Association Sportive d’Encouragement) with the aim of developing both racing and the training center, as well as creating more stables in order to attract trainers to Maisons-Laffitte.